From the start, communication via email was great. Mabel answered our questions with both urgency and accuracy. The pre-trek information session was very thorough and informative, and the supplies (sleeping bag, sleeping mat, tents) were quality. This adventure was a fantastic life experience. 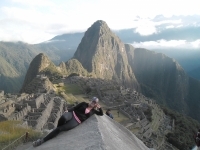 Overall I was greatly satisfied with the experience (and we haven't yet made it to Machu Picchu!) Some suggestions and observations. This trek was amazing. 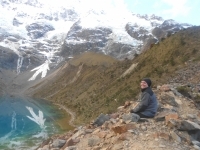 My guides, Victor and Hilton, were very nice and took care of me even when I got altitude sickness on the second day. 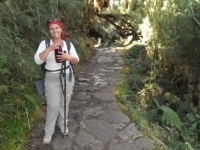 This trek is much better than the Inca Trail because you need to have an adventurous mindset to make it. This was an overall amazing experience. The trek was well paced because the first day helped me warm up for the hiking in the days to come and the second day was by far the hardest. After that, the following days still involved a lot of walking, but the walks were much easier. 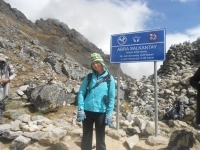 We have just arrived back from a fantastic 5 day Salkantay trek to Machu Picchu. Our tour guide, Carlos, made the adventure exciting and fun. 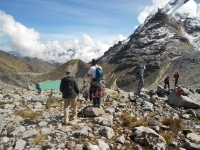 Great trekking experience! The trip was well-planned and they guide gives lots of information in the pre-trip meeting (they tell you exactly what you need to pack, what you'll need each day, etc.) There was more than enough food at each meal (breakfast, lunch, dinner) but if you are a hungry hiker, bring extra snacks for the trail. We had an excellent time, the food was amazing and the service was the best possible. Manuel and Janet took care of our every need. When my bag broke, Manuel made it got fixed for me right away. 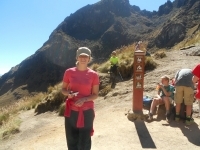 The trail was tough and we could not have enjoyed it without our awesome guides. 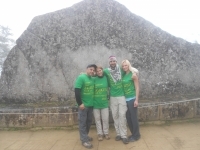 I had a great group, Janet and Manuel were fantastic. We started off with an easy walk off course from km 82, not long after we were already set by a nice lunch made by the cook Damian. We were in a small group and we headed off together. 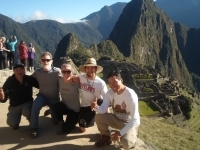 We had a wonderful trip and were very pleased with our guide, Americo. 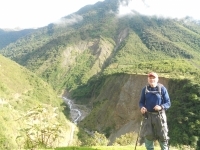 He was very knowledgeable regarding the history of Peru including Inca and pre-Inca cultures. 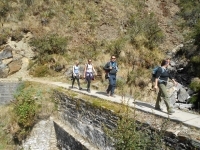 Additionally, he also taught us many aspects regarding the geology, flora and fauna we were exposed to on our trek. 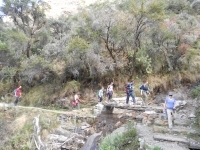 Our experience on the Inca Trail was very fun. Our guide was very enthusiastic and talkative, he gave us lengthily informational talks at each of the places we stopped and along the trail if we had any questions. Had a fantastic time with our multilingual group sharing stories of blisters, aches and pains but loving every minute. Especially enjoyed the giggles over card games in the evenings and the company and support of our two fantastic guides. An experience not to be missed! 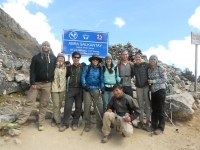 The guides, cook, and porters were all amazing and deserve so much praise. I had altitude sickness for the first two days but still made it and I can tell you it feels great.